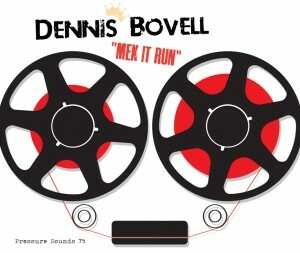 Just completed the design and artwork for new DENNIS BOVELL “MEK IT RUN” album cover on CD and vinyl for the Pressure Sounds label. The design is based on the tape reels of old but the music and sheer talent comes through of Dennis today and that quality edge that will have your head and body rocking with the “riddem”. These are tracks were unfinished works that lay in boxes of old 2 inch multi track analogue masters tapes dating back to the 70s/mid 80s. They were carefully “baked” for digital conversion and carefully reworked by Dennis. Need I say more… just get it. You are currently browsing the classic 2-tone graphics news archives for June, 2012.